Remember my Developing Themes In Your Stories series that DIY MFA ran last year? It’s back! Today’s Theme: A Story’s Soul post tackles symbolism, one of the most thought-provoking yet challenging aspects of novel-writing. Don’t be intimidated, though – it turns out that symbolism is more closely connected to theme than we might think. It starts by knowing what kinds of symbols we can draw from and which questions we should ask to help us find the right symbols to reflect our story’s themes. Like past worksheets that coincide with the Developing Themes In Your Stories series, the Themes in Symbolism Worksheet contains the activities from my Symbolism article. Feel free to download the PDF file and print it out to explore your story’s potential symbols further. Click here to visit Worksheets for Writers and download a PDF copy of the Themes in Symbolism Worksheet. YAY! Our founder Gabriela Pereira shared this with us last week; and now that the latest print issue of Writer’s Digest has been mailed to subscribers, I can share it with you as well. 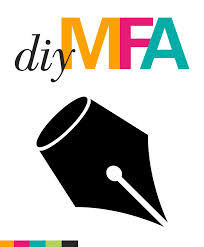 This is the first time that DIY MFA has been listed in WD’s annual 101 Best Websites for Writers list. It’s a huge honor, and I’m incredibly proud to be part of such a hard-working and creative team. Thanks to everyone who voted for us! I said it before, but it can be said again. Congratulations! I know how hard you work on posts for DIY MFA. You have every right to feel proud of your big award! Thanks, Robin! 🙂 I’m really grateful to be a part of their team. I celebrated similar suprirse, as the group I help to admin (10 Minute Novelists) made it to the list as well. 🙂 Glad to see Writer’s Digest recognize online places like that.